Egypt’s President Abdel-Fattah El-Sisi issued a presidential decree on Tuesday reintroducing the direct appointment of university heads and faculty deans, Al-Ahram's Arabic news website reported. 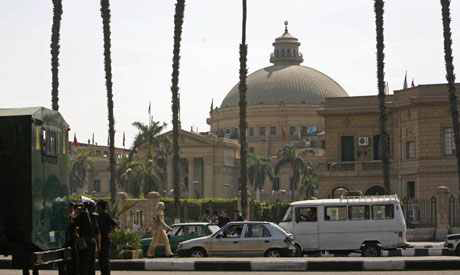 Prior to the 25 January 2011 revolution, Egypt’s public university heads and faculty deans were directly appointed by the country's president. Following the revolution, however, students protested and held massive strikes calling for the dismissal of university heads appointed by deposed autocrat Hosni Mubarak. By the end of 2011, the Supreme Council of the Armed Forces (SCAF) had introduced amendments to the law regulating universities whereby university leadership became elected by the faculty. El-Sisi's new amendments to the university law – which predominantly relate to articles 25 and 43 – stipulate that the minister of higher education present three candidates for each of the positions of university head and faculty deans. The candidates are to be selected by a committee – appointed by the minister of higher education following the approval of the Supreme Council of Universities – with the prerogative to establish the selection criteria. University heads will be appointed for a renewable four-year term. The president may dismiss the heads and deans before the end of their terms upon the request of the Supreme Council of Universities.